Experts urge people to shelter in place following a nuclear attack instead of trying to escape the affected area. On October 9, students and employees at the University of Hawaii received an email that might have been written 60 years ago during the height of the Cold War. Titled, “In the event a nuclear attack,” the message referenced the growing tensions between the United States and nuclear-armed North Korea, directing people to state and federal government resources in case of an emergency involving nuclear weapons. College, K-12 and hospital administrators and public safety professionals are no strangers to emergency preparedness. In addition to the threat of natural disasters, campuses more recently have had to contend with the man-made variety, including mass shootings. But preparing for nuclear war seems like something out of the past, from the days when the United States and the Soviet Union were engaged in a nuclear standoff. And yet, today, a growing number of countries have nuclear weapons, joining what many have called the world’s most exclusive club. Relatively recent inductees include Pakistan, Israel and North Korea. What’s more, North Korea has lately been engaged in a war of words with the United States, with both sides in recent months threatening the other with total destruction. While American national security experts doubt that North Korean missiles have the ability to reach the mainland or even Hawaii for at least another two years, the prospect of a nuclear attack has undoubtedly become more real. IR Online, American University’s International Relations online program collected data on operational missile ranges of nuclear-armed states, illustrating just how widespread the nuclear threat has become. Indeed, such worries are magnified by the threat of terrorists and other non-state actors acquiring a nuclear weapon or nuclear materials. At the same time, the popular notion that “we’ll all die” in a nuclear attack is not based on reality. There likely will be survivors within a few miles of the blast. Whether many of them ultimately live or die might well depend on what people do right before and right after the attack. The most basic advice for surviving a nuclear attack is not to try to escape the affected area but instead to shelter in place. Specifically, preparedness experts urge people to get as many layers of a building between them and the outside world as possible — both to survive the blast and then the radiation that follows. 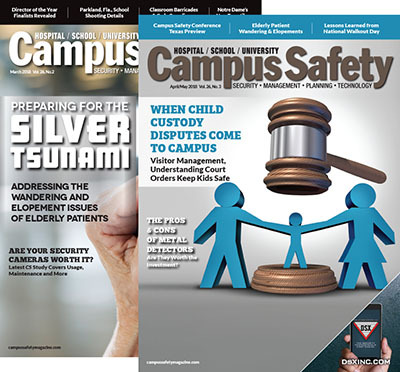 For educational and healthcare campuses, the challenge begins with how to effectively warn and educate students, employees, patients and visitors about the unthinkable. Administrators and others also need to think about how to best deal with the aftermath of a nuclear blast — assuming it doesn’t occur too close to campus. As it turns out, these challenges are not new — even for institutions of higher learning, hospitals and K-12 schools. In the decades immediately following the end of the Second World War in 1945, a belief in the need for nuclear preparedness was very much embedded in the national consciousness. 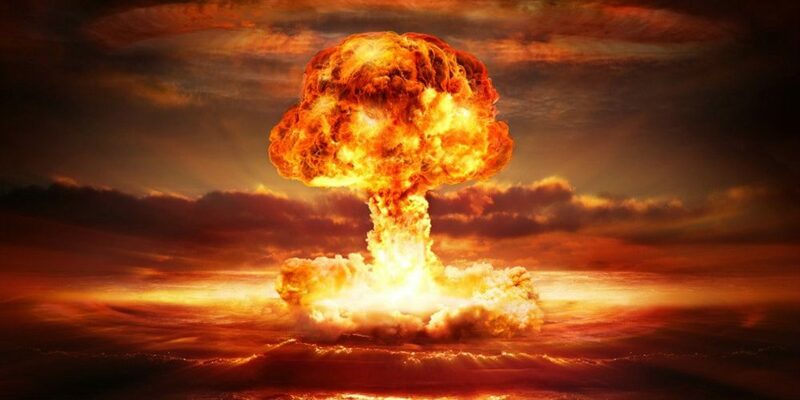 The Soviet Union exploded its first nuclear device in 1949, just four years after the United States ended World War II by dropping atomic bombs on the Japanese cities of Hiroshima and Nagasaki. In the years that followed, both countries raced to develop more powerful nuclear weapons, as well as rockets that could carry them even further. By the beginning of the 1960s, the two nations had thousands of deliverable warheads pointing at each other, a situation that came into sharp focus in October 1962 when, during the Cuban Missile Crisis, the world came perilously close to all-out nuclear war. In the United States, the prospect of nuclear attack was taken very seriously. At the end of 1950, President Harry Truman signed legislation creating the Federal Civil Defense Administration (FCDA), which focused on preparing people for the worst. The FCDA produced many short films, radio shows, books and brochures on nuclear attack preparedness, often aimed at schools. The most famous FCDA film was a cartoon short titled “Duck and Cover,” featuring a turtle named Bert who instructed students to duck to avoid flying debris and to cover to protect themselves from heat and radiation. Around the country, schools routinely had civil defense drills, with students scrambling to get under their desks or pin themselves against the wall of a nearby hallway or basement. Most cities had fallout shelters, marked with three yellow triangles inside a black circle. 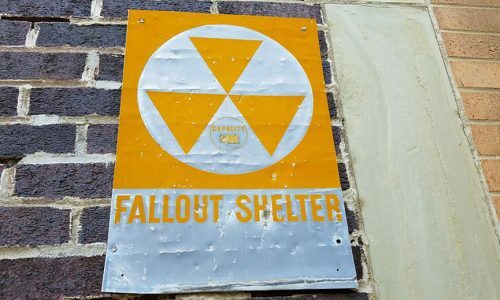 What’s more, millions of Americans built their own fallout shelters, often small underground rooms stocked with canned food, water and other supplies. By the early 1970s, however, the fear of nuclear war was subsiding. During this time, the United States and the Soviet Union entered an era of better relations. In place of nuclear brinksmanship, both sides were now publicly committed to negotiating reductions in nuclear weapons. The 1991 collapse of the Soviet Union further relaxed nuclear tensions. In the years following the Soviet breakup, both countries dramatically reduced their nuclear weapons stockpiles. In the wake of the Soviet collapse, phrases like “new world order” and “honeymoon from history” were coined to describe a world where the United States, now the sole superpower, promoted peace, democracy and free markets around the globe. But like most honeymoons, this one was relatively brief, with the terrorist attacks on Sept. 11, 2001, shattering any lingering illusions that the end of the Cold War meant the world was no longer a dangerous place. Indeed, Americans today think the world is very dangerous. In 2010, nearly 6-in-10 U.S. adults told the Pew Research Center they thought another world war would occur in the next 40 years. In the same poll, more than half predicted that the United States would be subjected to a nuclear attack by terrorists. More recently, a Gallup poll found that Americans believe that preventing the spread of nuclear weapons is one of the country’s top two foreign policy goals, with the other being stopping acts of terrorism. It’s important to know that not all nuclear weapons are the same. For instance, many of the warheads created by the Soviet Union and the United States during the Cold War were (and still are) very powerful, designed to produce 10 or even 20 megaton explosive yields or the force of roughly 10 to 20 million tons of TNT. By contrast, preparedness experts say if a nuclear device exploded in the United States, it would most likely come from a terrorist group or rogue state and have an explosive yield measured in kilotons or thousands (as opposed to millions) of tons of TNT. The damage from a smaller nuclear bomb would still be devastating. For instance, a 10-kiloton warhead (like the one dropped on Hiroshima) exploding in the middle of a city would likely destroy most everything within a one-mile radius and would instantly kill tens of thousands of people. The next mile around the explosion, though less devastated, also would be severely damaged, with many thousands more deaths and injuries. Almost everyone two or more miles from ground zero would likely survive the initial blast without injury. But depending on the wind and other factors, hundreds of thousands if not millions would then be at risk for radiation exposure. It turns out that radiation cannot penetrate glass or walls or even paper. 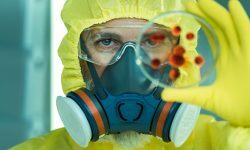 “Exposure to radiation doesn’t do the harm most people think it does,” says David Ropiek, a risk management consultant and author of How Risky Is It, Really? 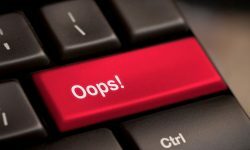 As with many other types of emergencies, it’s much easier to get people to take appropriate action if they already have some idea of what to do. But Columbia’s Redlener disagrees, arguing that officials at Hawaii made the right call. Both Redlener and Rodiek contend that one advantage campuses have is that people on campus are clustered together and are generally easier to reach than say the general population of a town or city. “You have a concentrated and captured audience on a campus, and that helps,” Redlener says. Something else universities, schools and hospitals can do is to designate places on campus where people can go in case there is a nuclear attack or incident. 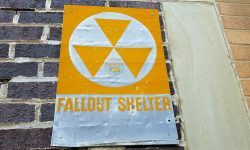 This doesn’t mean that the old style, yellow and black fallout shelter signs will soon be reappearing. Instead, experts say, campuses should endeavor to let students, staff and visitors know which buildings provide adequate shelter during a host of different kinds of emergencies. 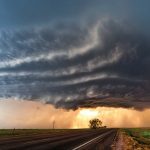 “The great thing about this is that a lot of what you do to prepare for a nuclear incident is the same as what you do to prepare for a tornado or a hurricane,” Ropiek says. Mariah Phillips is Digital PR Coordinator at 2U Inc., where she specializes in the business, law, government and tech verticals. Being prepared for events such as nuclear attacks is an important part of any campus safety protocol. 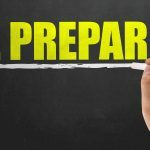 When it comes to major emergencies, such as a nuclear attack, it is important to not only develop a safety procedure on how to handle it, but to also run drills. The comment “It turns out that radiation cannot penetrate glass or walls or even paper” is completely misleading. Some types of (ionizing) radiation can be blocked by glass or paper, but those are only some of the types of radiation that can be produced. Specifically, alpha and beta particles can be blocked rather easily. However, gamma and neutron radiation can very easily penetrate very thick, and fairly dense objects and can be very harmful and lethal, with the variation of its harm in relation to the type and size of the bomb. Please use science facts to education the public.